Read about these 5 essential diabetes care tips. There are five essential diabetic care tips that are reiterated so often that they can feel like a constant rehash of “shoulds” for people with diabetes. However, a lapse in any one of these diabetic care management steps could spell trouble. These include suggestions on how to control diabetes with diet, importance of having a diabetic medical team, exercise and the even the need for wearing a bracelet to alert others of this condition in an emergency situation. And, while it is true that diabetes care is complex and goes beyond glycemic control, contained within these five essential tips are a range of interventions and precautions for diabetic patients that can improve diabetes outcomes. These diabetes care tips are just to help you a bit. Based on reports from the Mayo Clinic, uncontrolled or improperly managed blood sugar levels increase the risk of diabetes complications such as Alzheimer’s disease, cardiovascular disease, stroke, neuropathy or nerve damage, kidney damage, susceptibility to various skin conditions, amputations, vision and hearing impairments. Whether you have been a diabetic for years or recently diagnosed, these tips are considered essential in preventing the escalation of these potentially disabling or life-threatening conditions that are directly linked to diabetes. Monitor Blood Sugar: One of the most important elements of managing diabetes is keeping track of your blood sugar. Blood sugar level is the starting point from which diagnostic determination and therapeutic care management tools such as controlling diabetes with diet, exercise and medication evolves. Based on the Diabetes Control and Complication Trial study, which has been recognized as one of the most significant diabetes studies; frequent blood glucose testing is the cornerstone of effective diabetes management. In fact, this study revealed that regular testing reduced the risk of developing long-term complications. The reality is that in order to keep blood sugar levels balanced it is important to know what they are through regular testing. Blood sugar levels that are high or low inevitably put you at risk of developing serious, sometimes irreversible problems. Regular testing also enables you and your doctor to better assess whether or not your diabetes management tools are working or need to be adjusted. Control diabetes with diet. 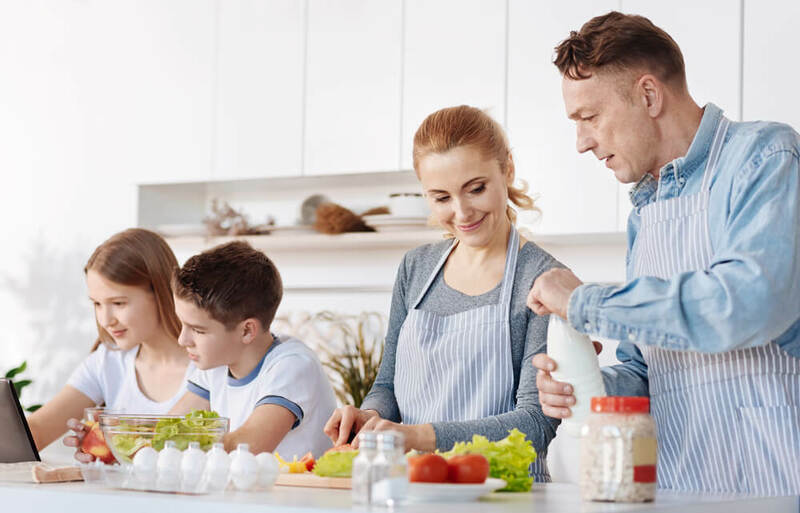 Achieving proper nutritional balance is such a critical component of diabetes management that it usually requires a coordinated team effort and commitment from the person with diabetes. Also, because there is a level of complexity in nutritional issues, it is almost always recommended that the implementation of a diabetes friendly diet be initiated by a qualified nutritionist. And, because this invariably requires the person with diabetes to make some type of dietary changes, the process needs to be handled appropriately if it is to be sustainable. However, before beginning any exercise program, it is important to consult with your primary care physician to determine what level of activity will be safest and most appropriate for you. In some instances, if there is an existing vascular condition, it could be worsened by certain types of physical activity. Foot and Skin Care routine. The significance of establishing a daily foot and skin care regimen is important to prevent diabetes complications. The diabetic condition makes people, especially those with poorly controlled glucose levels and no foot and skin care routine, more susceptible to skin disorders and bacterial infections. According to the American Diabetes Association, an estimated 33% of diabetics develop some type of skin-related problem. However, most of these dermatologic conditions can be prevented and treated if caught early. Using a humidifier that add moisture to the air and help keep the skin hydrated. Drinking more water and cutting back on alcoholic and caffeinated beverages. Inspecting skin and feet daily for cuts, cracks, splinters, blisters, and calluses. Avoiding extremely hot baths or showers. Thoroughly drying skin and feet; especially between the toes. Moisturize the body while avoiding putting lotion between the toes. Promote good circulation to the lower limbs by propping up your feet when seated. Avoid standing in one position for extended periods of time. Avoid the use of harsh antiseptic solutions which can burn or injure skin. Staying Connected with your health care team. A diabetes health care team typically includes physicians, nurses, dietitians, pharmacists, opticians, dentist and mental health professionals with knowledge and expertise in diabetes care. Staying connected with your health care team is essential for routine diabetic assessment, to make adjustments when necessary and to keeps you actively involved and knowledgeable about managing the disease. Diabetic patients can further enhance their care through continued education on the subject, asking questions about their medications, wearing a bracelet for added protection and exploring various nonprescription dermatologic products that address specific skin care needs for people with diabetes. Always remember to to take precautions for diabetes patient, it’s important to be informed to keep yourself or a loved one in good care.